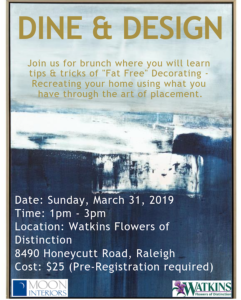 Join Moon Interiors for the Dine & Design at Watkins Flowers of Distinction in Lafayette Village on Sunday, March 31st from 1pm to 3pm! 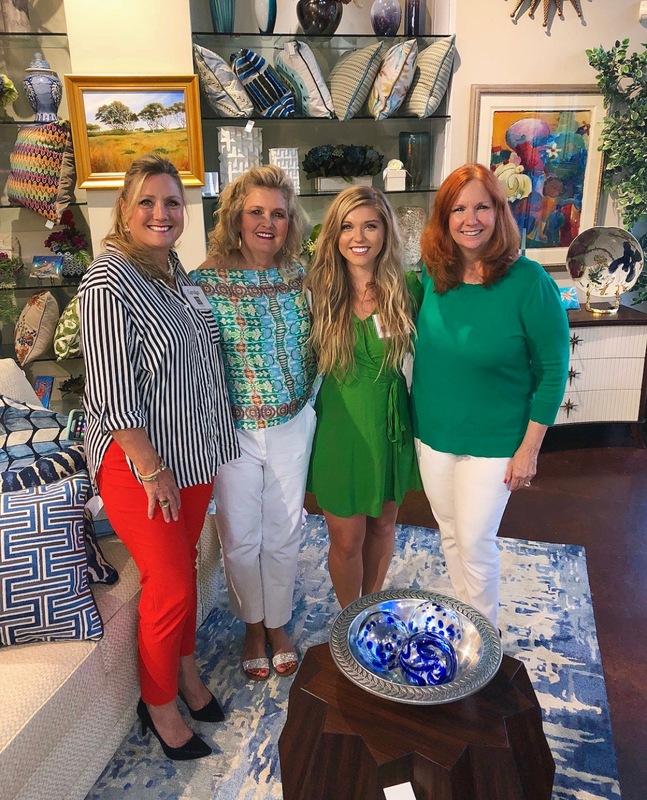 Moon Interiors and Watkins Flowers of Distinction have announced some added attractions and activities for grand opening of the organizations’ collaborative showroom, on Thursday October 18 at Watkins Flowers Showroom in Lafayette Village. 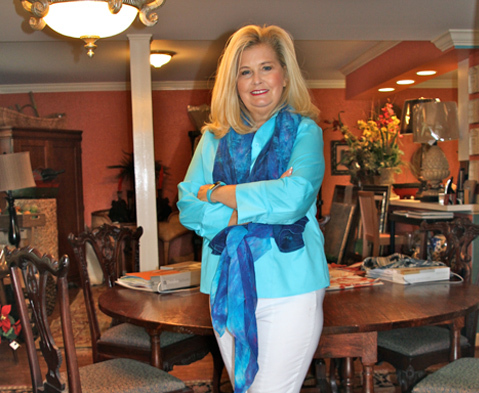 Triangle area artists Madonna Phillips, Eric McRay and Cassie Ott will be on hand during the event, and attendees will have the opportunity to register for great prizes, including a room makeover. Read more here! 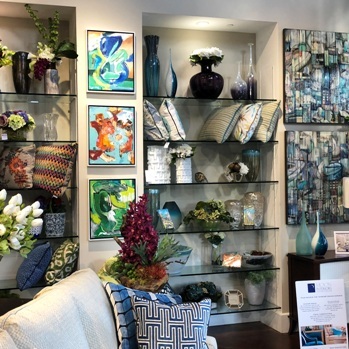 The interior design experts at Moon Interiors recently added the finishing touches to our on-site collaboration with Watkins Flowers of Distinction in Lafayette Village, by hanging artwork from some of the Triangle’s notable artists in the showroom. Read more here! 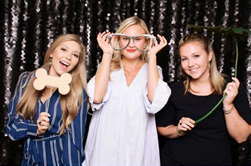 On September 23 2018, Moon Interiors participated in the Evening of Pawsibilities event hosted by Second Chance Pet Adoptions at the North Ridge Country Club. Read more here! On August 16 2018, Moon Interiors & Watkins Flowers in Lafayette Village participated in the Wine Walk in support of Triangle Down Syndrome Network. Read more here! On Saturday May 13th, 2017, Moon Interiors had an Open House Sale as a fundraiser for Second Chance Pet Adoptions. Read more here! 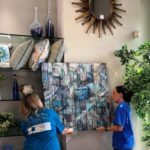 In interior design, summer is all about merging the boundaries between what are typically seen as indoor and outdoor living spaces. Read more here! 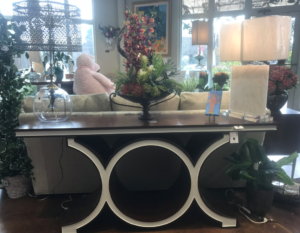 Interior design doesn’t just have to be about furniture and accessories, and it doesn’t even necessarily have to be indoors! Read more here! Interior design isn’t just about making a room pretty. 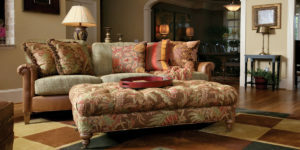 We use design to bring our clients homes to life. To reflect their individual styles, their interests, their experiences. Read more here! Ready to redo a room but no idea where to start? When the options are infinite, it can seem like an overwhelming project. 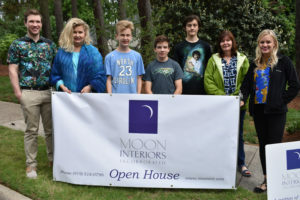 Moon Interiors is here to walk you through it! Read more here!